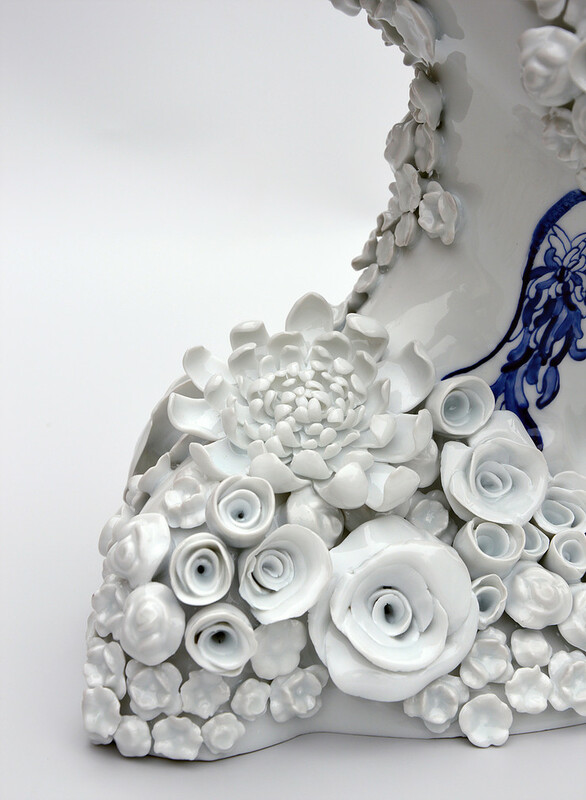 HomeBlogHome DecorContemporary Porcelain Artworks by Juliette Clovis. 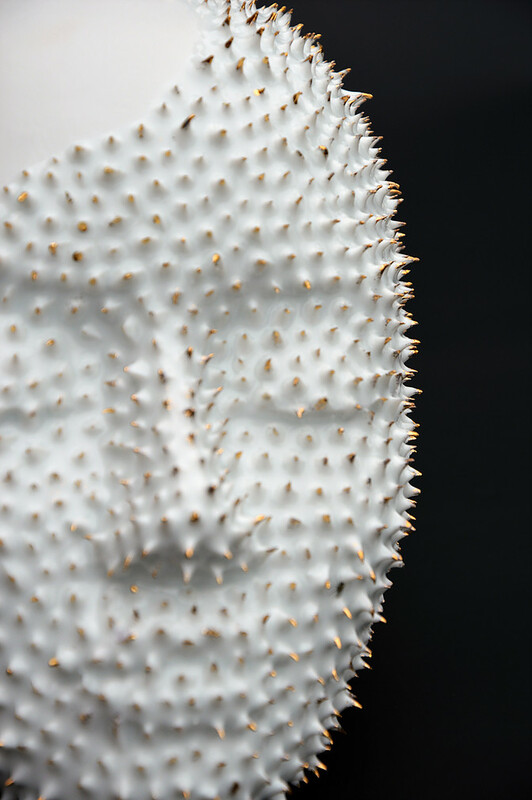 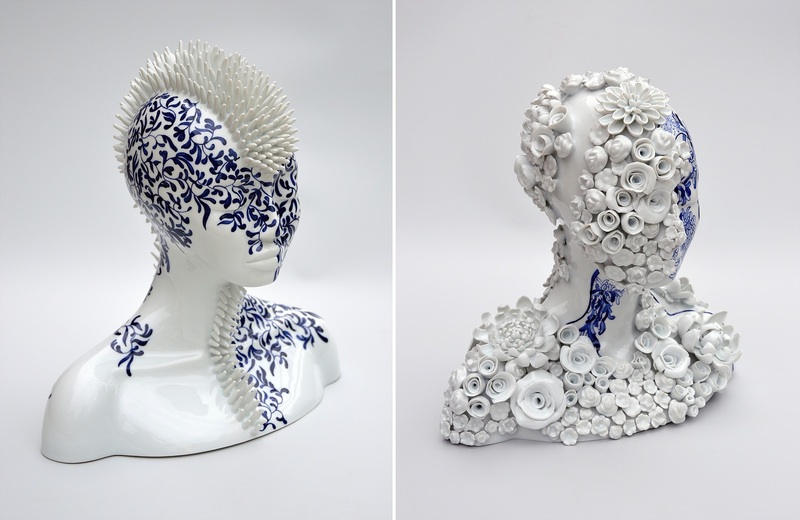 Contemporary Porcelain Artworks by Juliette Clovis. 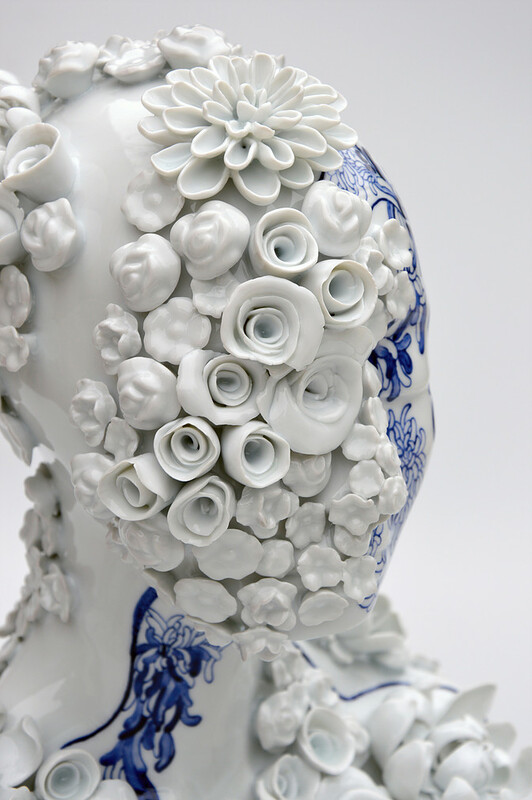 French artist Juliette Clovis creates unique porcelain artworks that that merge history, myth and nature with the female form. 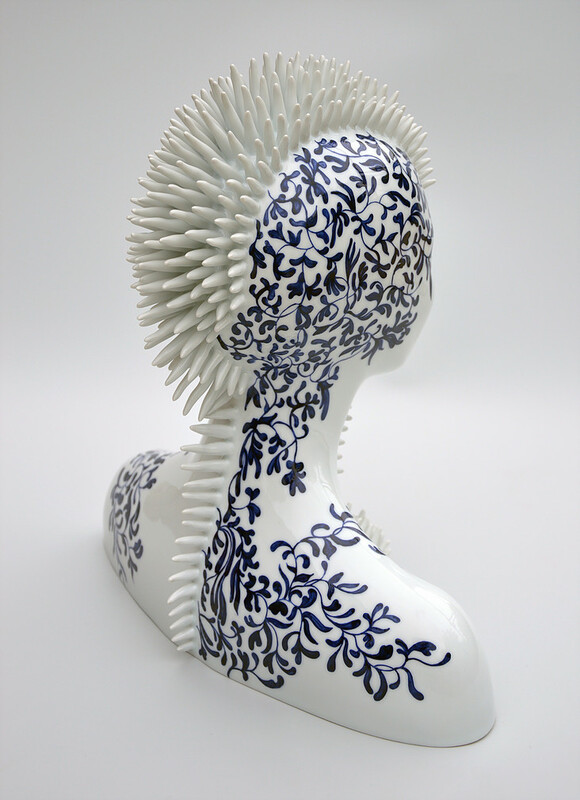 Remarkable creations that blur the line between humans and nature. 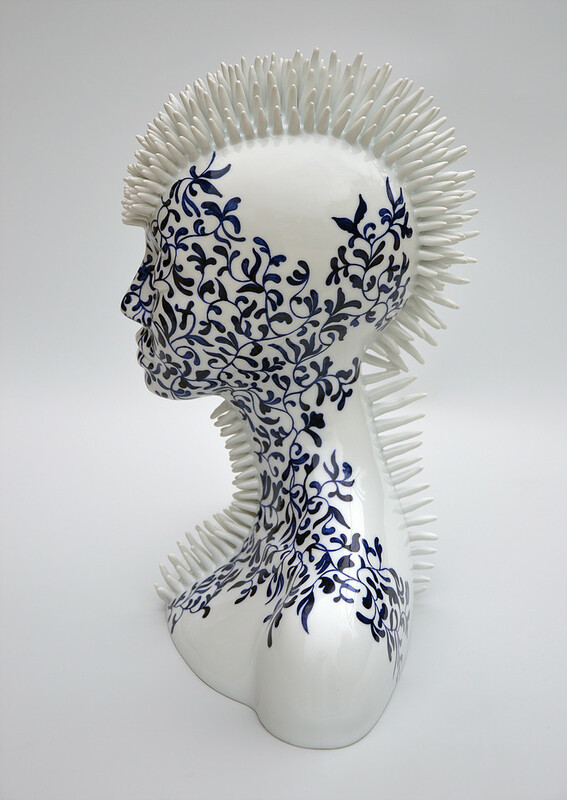 For years, Juliette Clovis worked on female identity and the representation of women in contemporary society and its history. 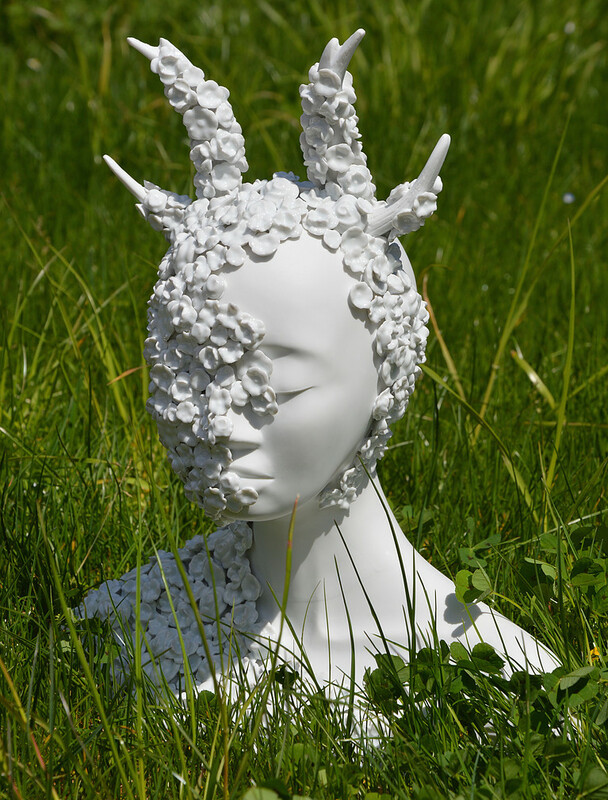 In addition another subject that fascinates the artist is the balance of power between Human and Nature. 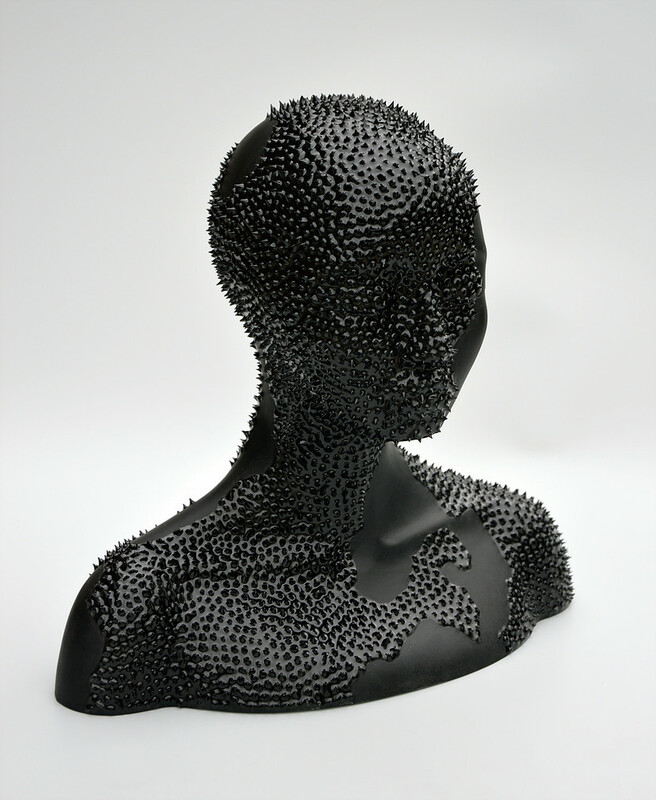 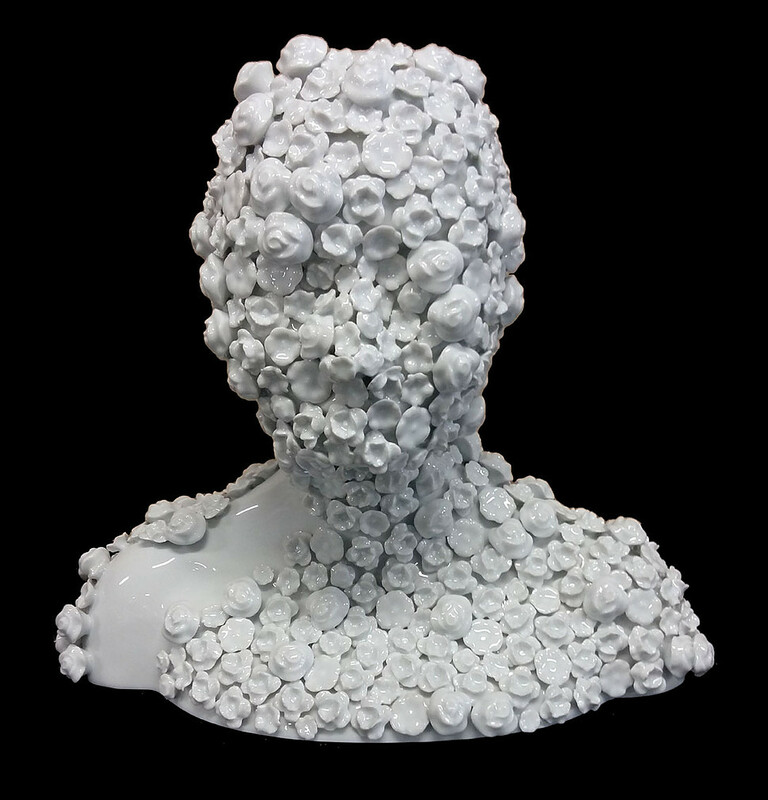 In her latest unique artworks, Juliette combines these two subjects into beautiful and visually powerful statuettes. 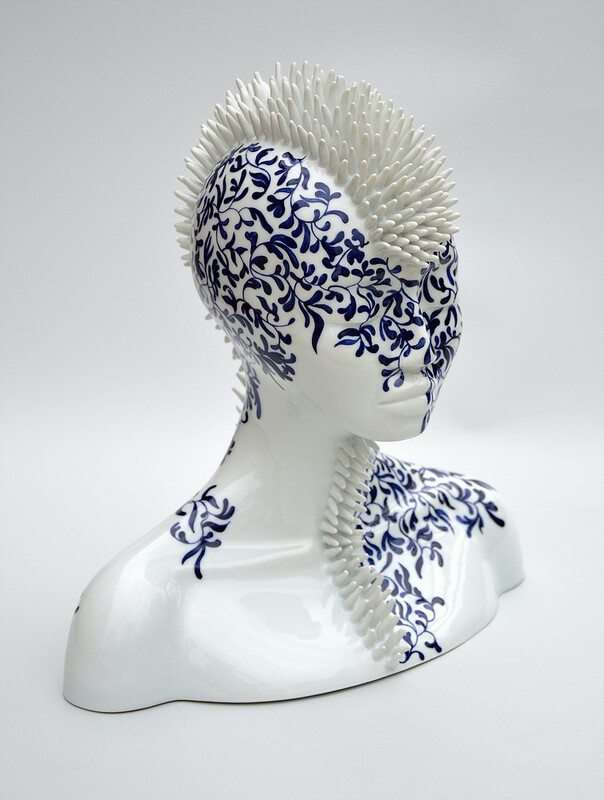 The material of choice for these distinctive artworks is porcelain, an environmental friendly material that is a noble and classical, originating from traditional and ancestral technology. 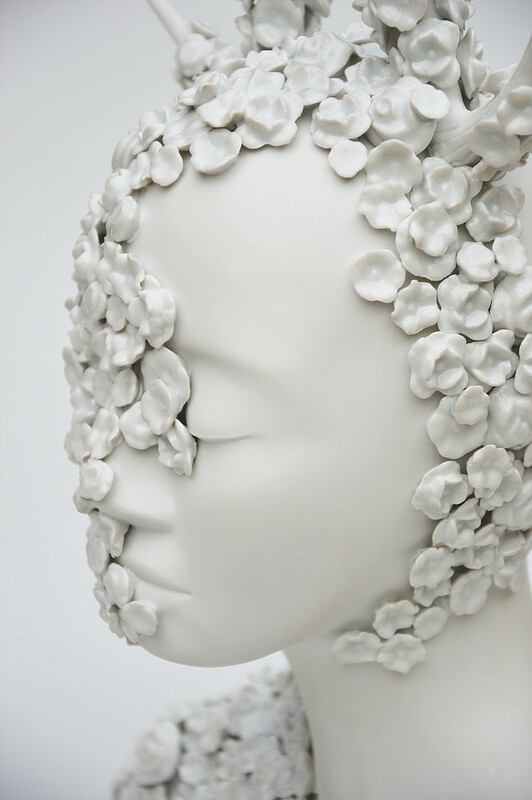 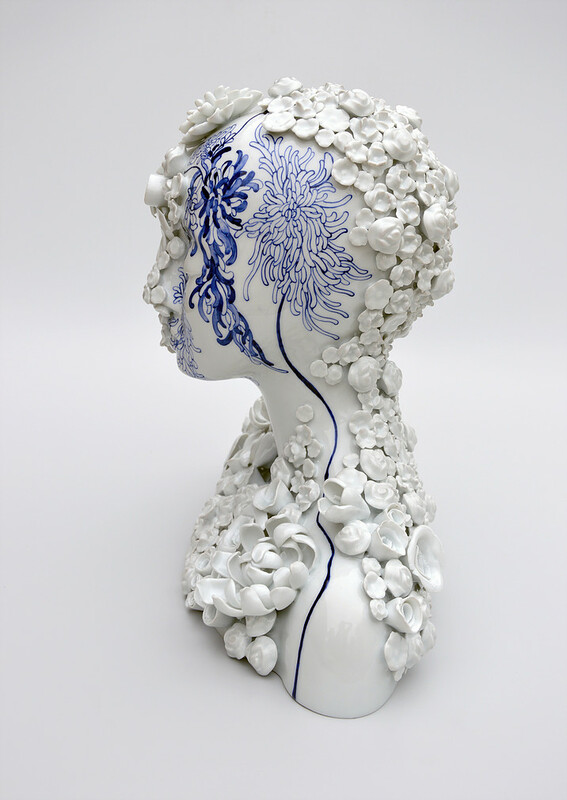 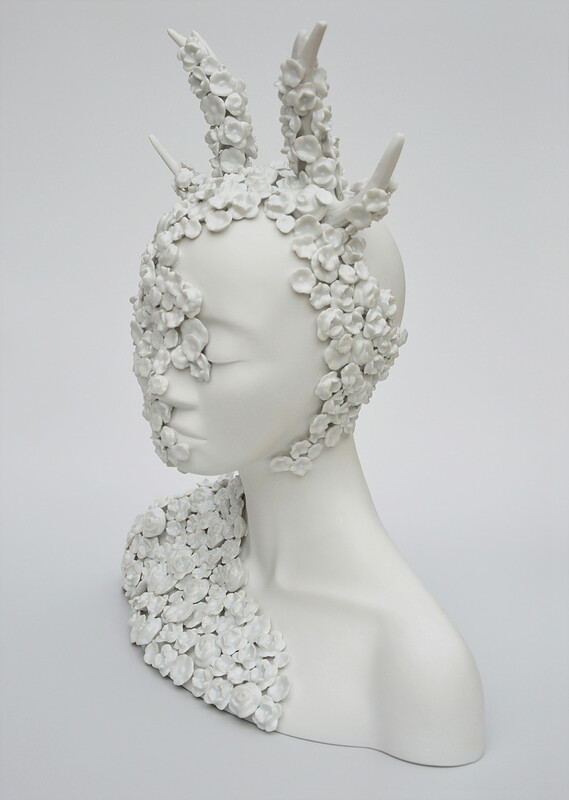 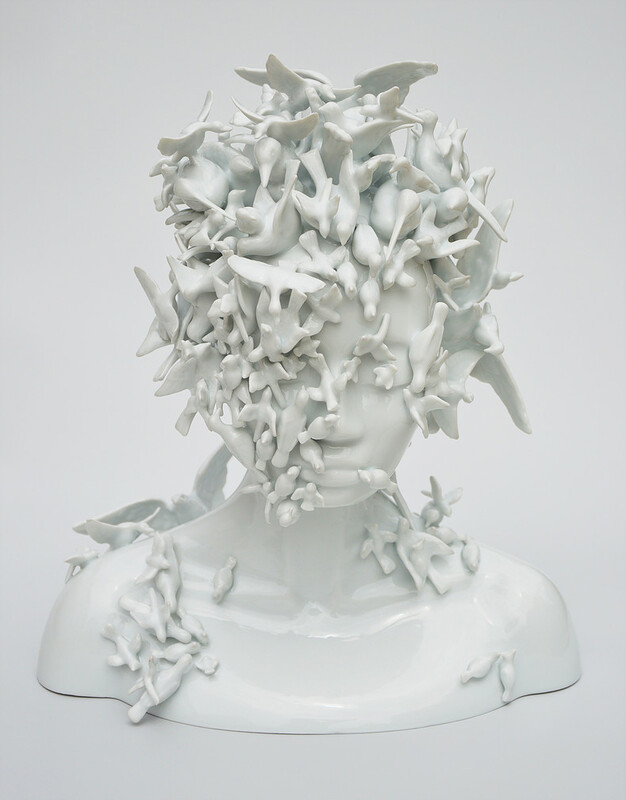 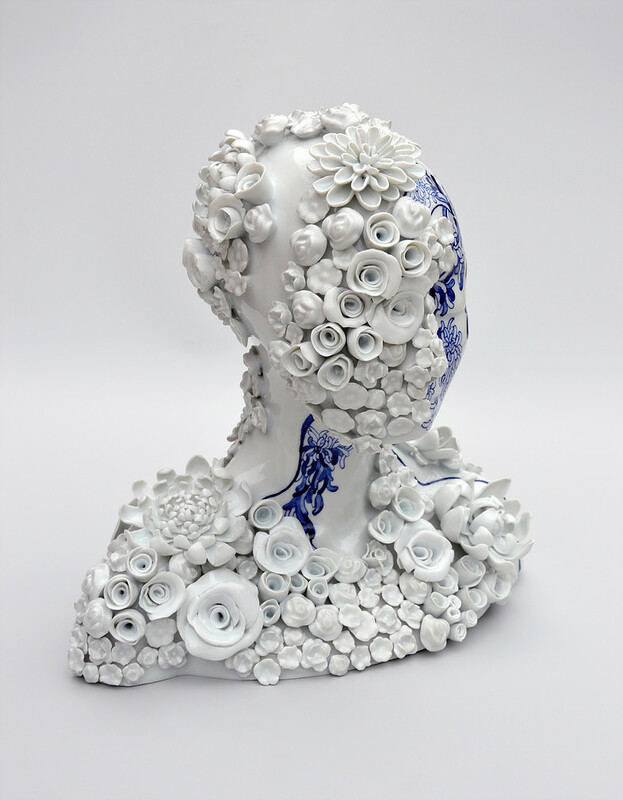 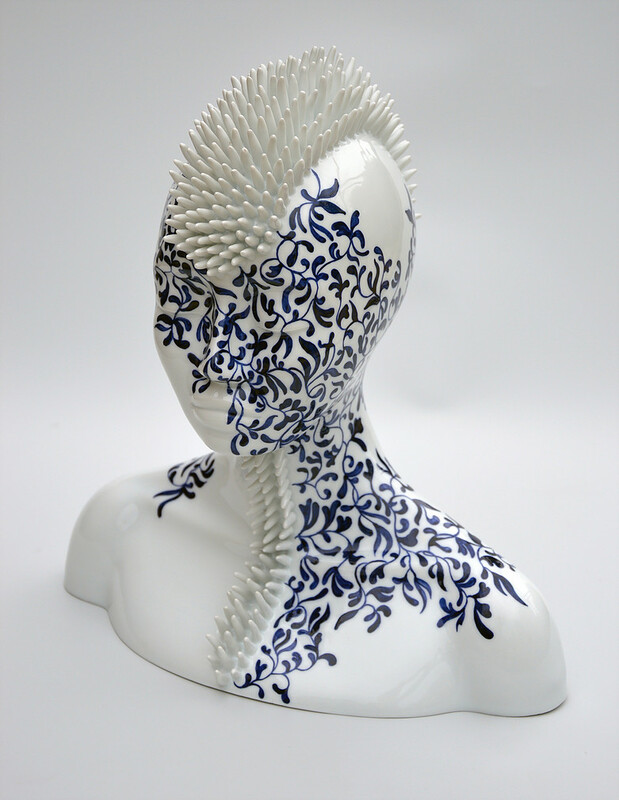 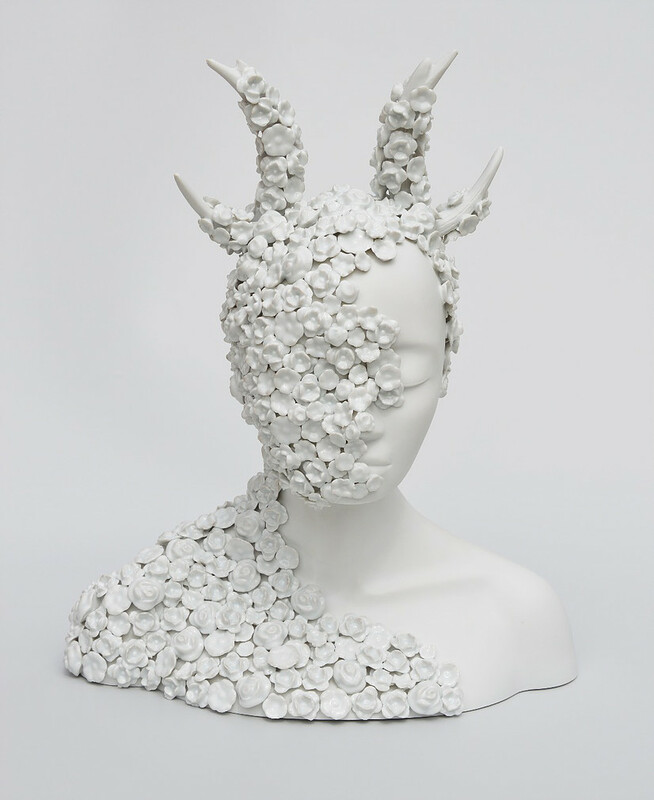 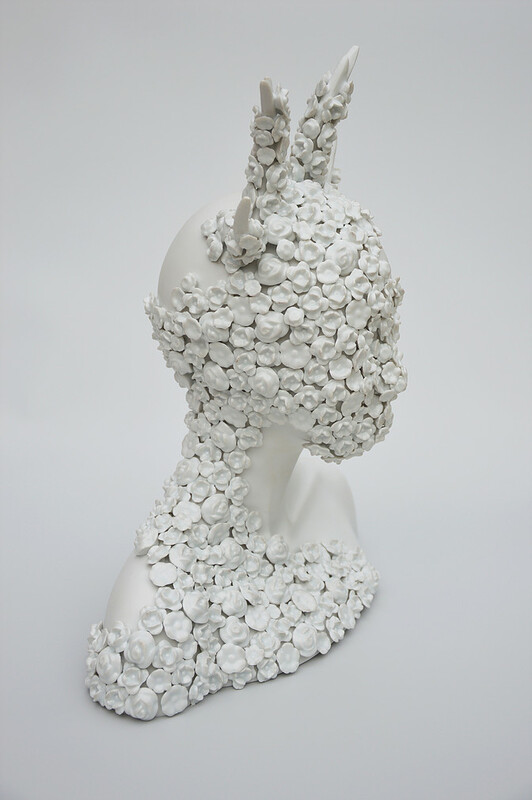 That foundation for all the pieces in the collection are simple porcelain busts, covered in wildlife, flora, butterflies and spikes. 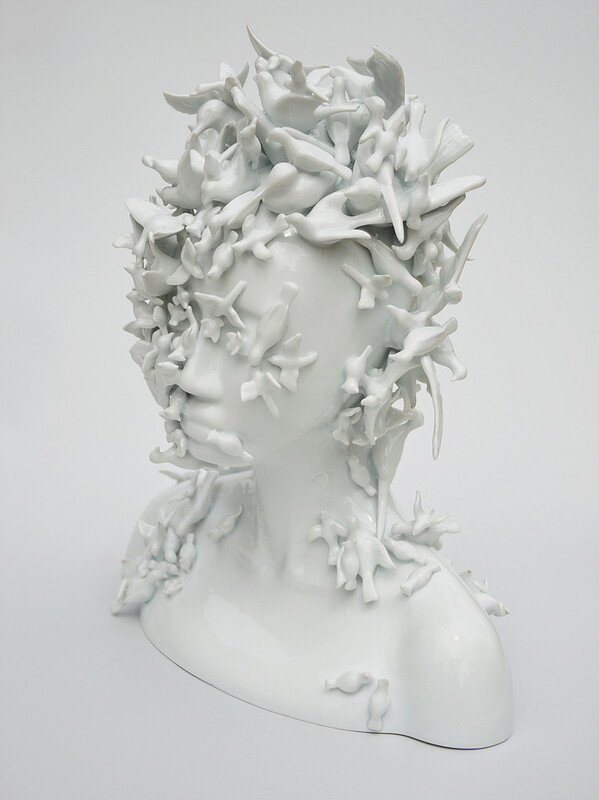 The female bodies are invaded by a profusion of wildlife and flora elements, evoking a nature that is both soft and worrying. 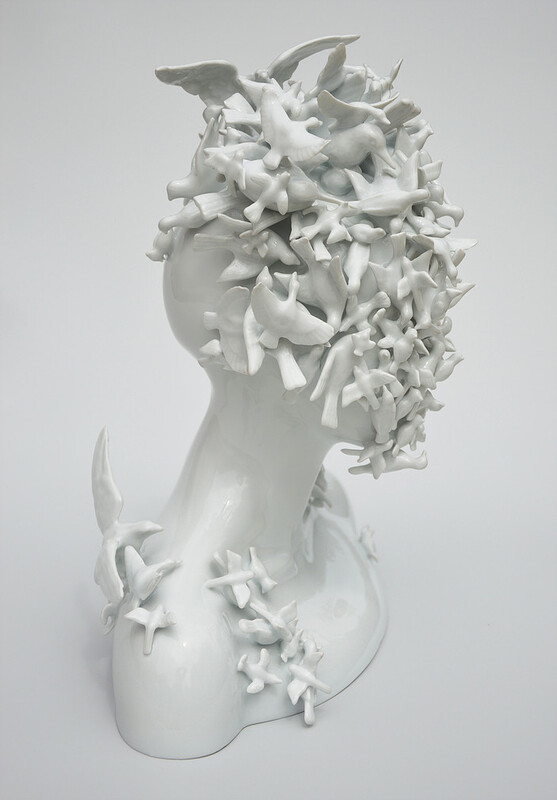 Like a Hitchcock-inspired scene, the viewer can almost hear the noise of the jungle: the flapping of a bird’s wings, the slither of a creeping snake or the croak of a frog. 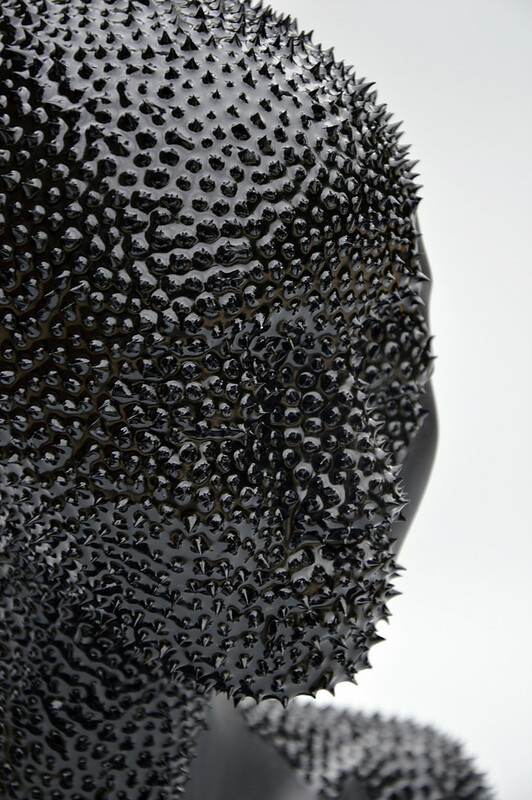 Some pieces are soft, almost romantic, adorned with butterflies, birds and roses, however there are also dark pieces in the collection with obscuring features like abnormal growths and spikes. 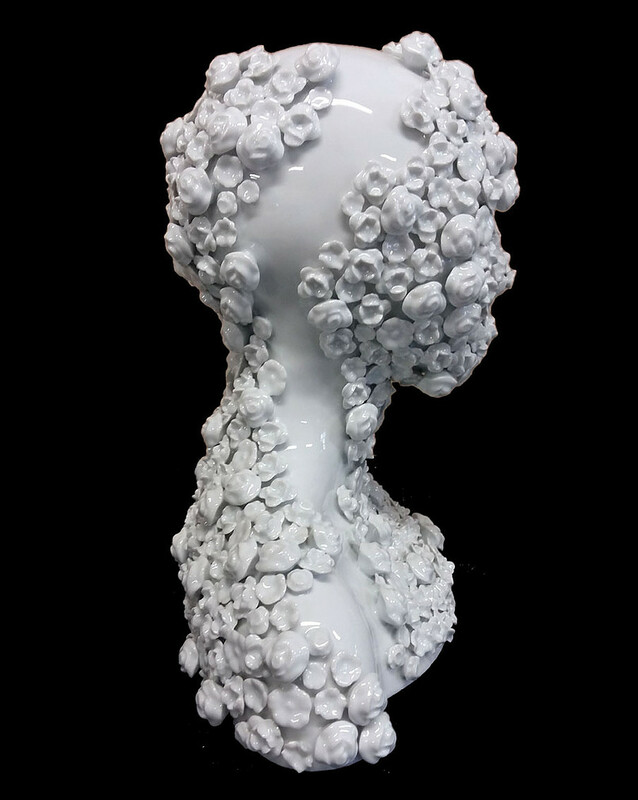 Conjugating ambiguity and employing metaphors, Juliette’s porcelain artworks wobble between a prophetic picture announcing the birth of a new living being, human body with a half-animal half-vegetable face; and the onset of death caused by an hungry nature wanting to take back its rights. 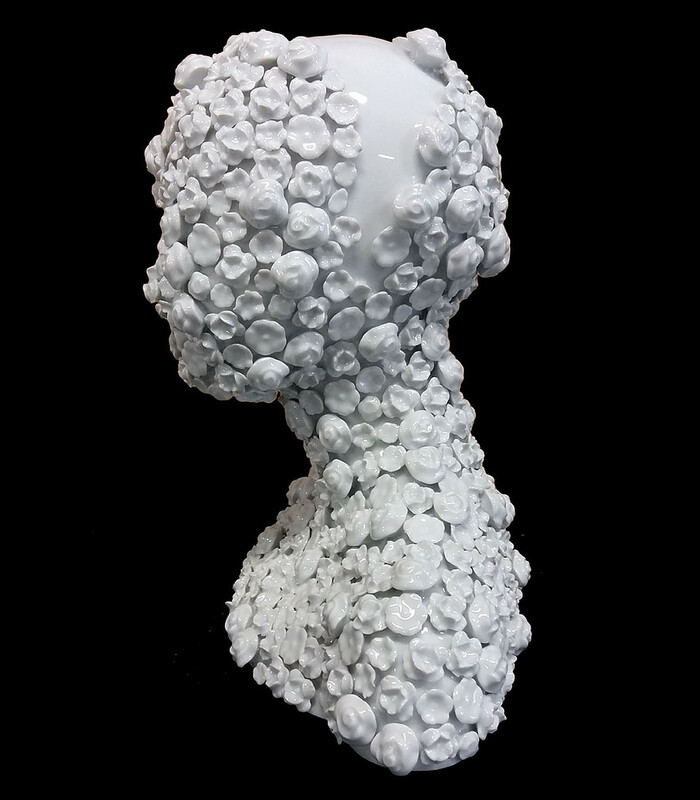 By looking at Clovis’work, one can make many parallelisms concerning femininity and nature. 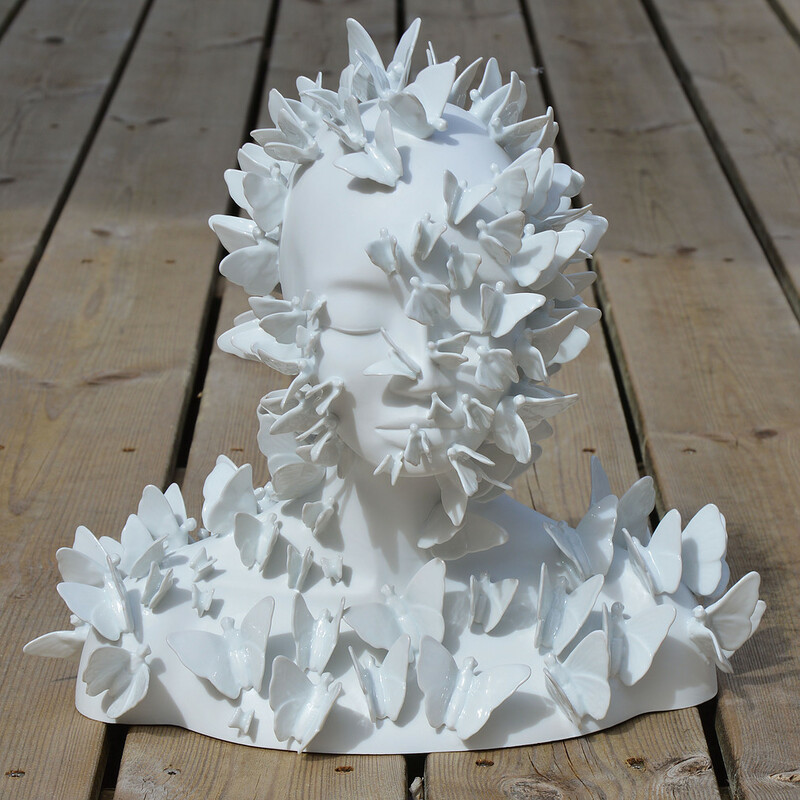 Both can be fragile and delicate, and at the same time hard and unforgiving. 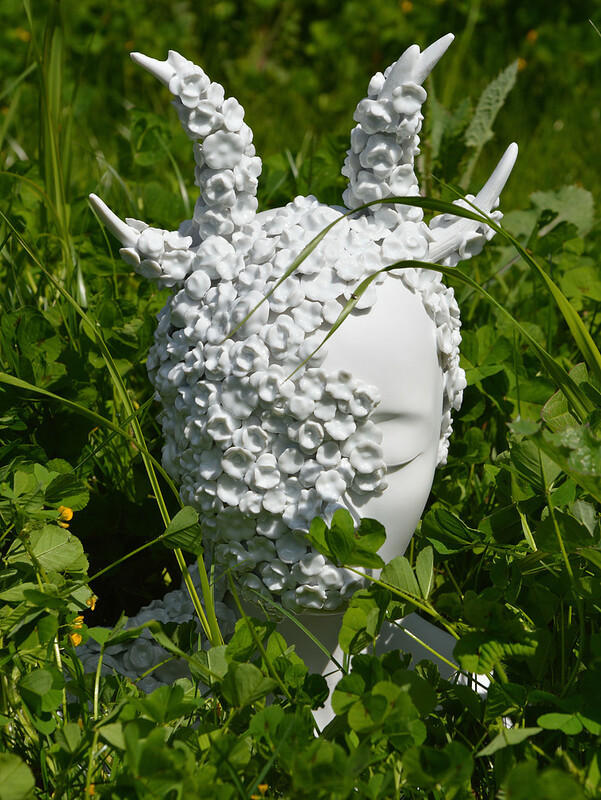 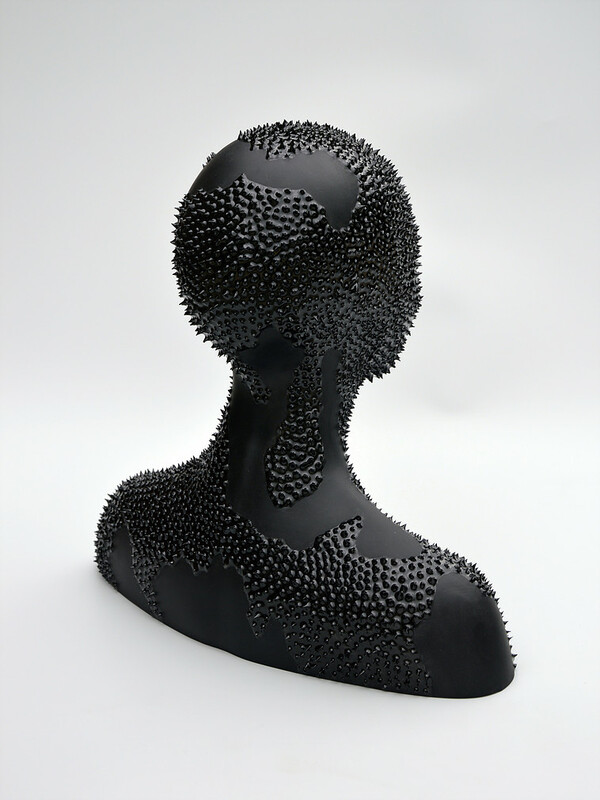 About the artist: Juliette Clovis is a multidisciplinary French contemporary artist. 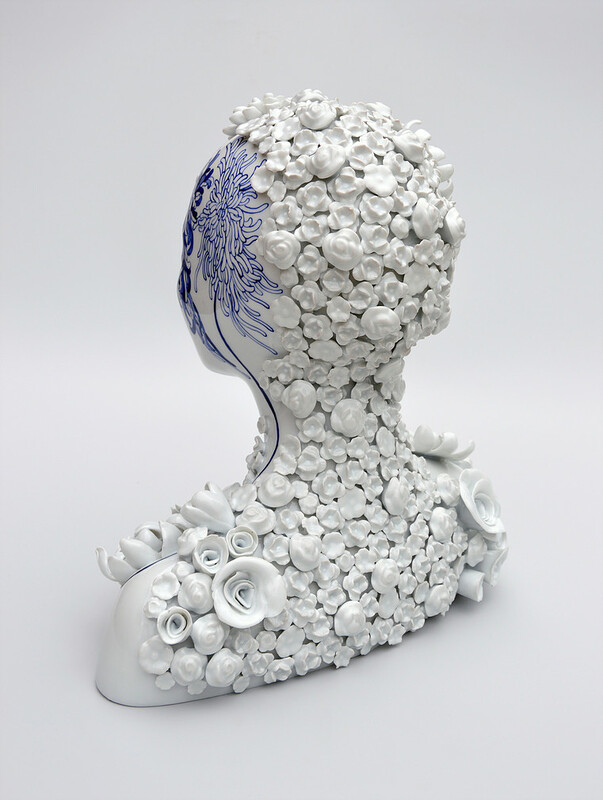 Her plastic work is organized around 3 big topics that are the links between human and nature, the opposition between life and death and the dialogue between tradition and modernity. 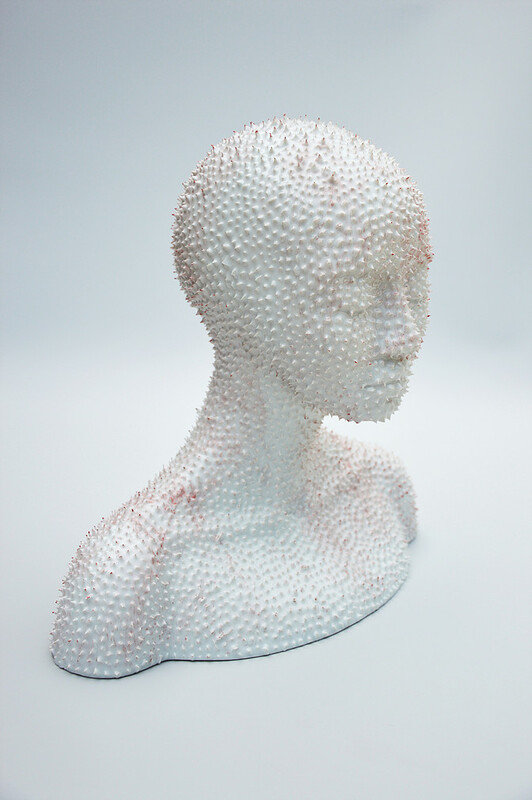 Juliette Clovis’ artworks is represented by several acclaimed galleries and exhibited mostly in France, UK, United States and Hong Kong. 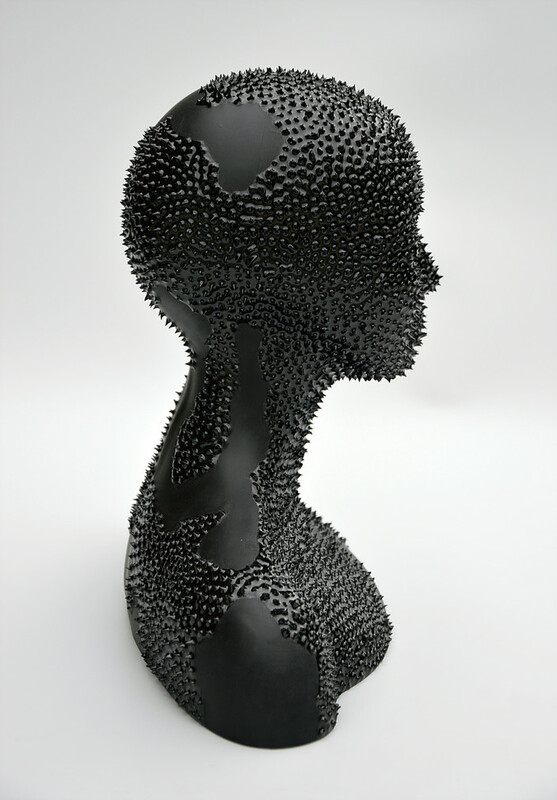 Top Secret USB Stick will store your Secrets in Style. 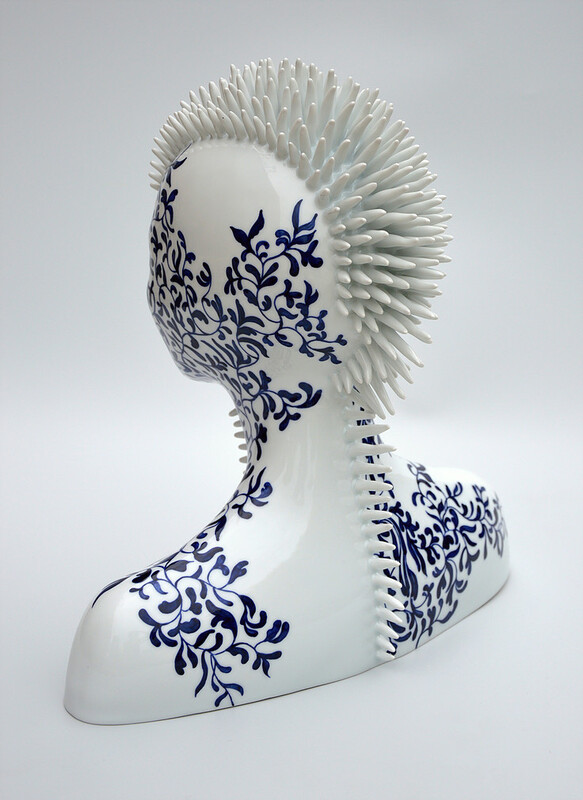 Pandov Chess Set, a Sculptural Work of Art by Lucian Popescu. 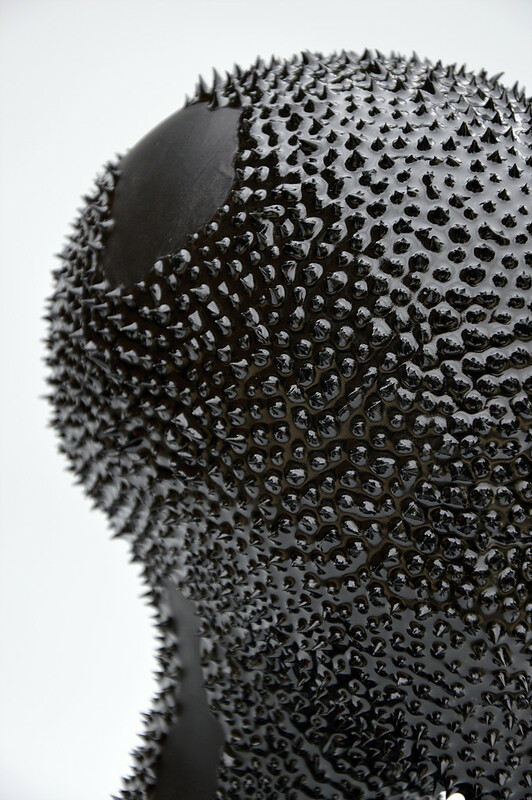 Just like a waterfall: Abisko Washbasin by Eumar.